Happy Bloggers Challenge Friday! Thanks to those who played along with last weeks Birthday Challenge! This weeks Challenge is to Create your own Background, I can't wait to see what you come up with! 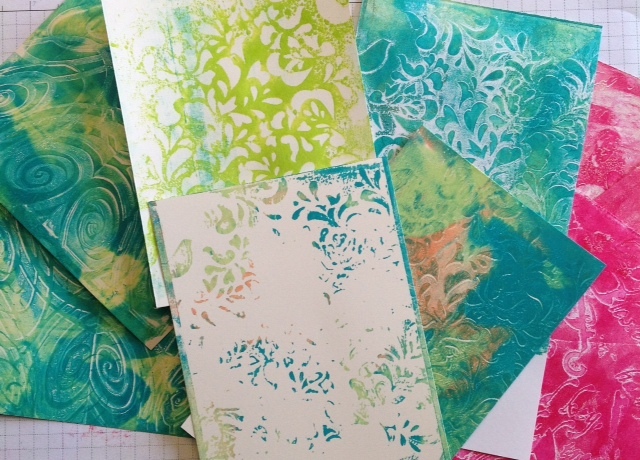 I'll be back later today with my finished project using one of these background pieces I created with the Gelli Arts Plate. I can do that!!! Love those backgrounds, Lisa! Looking forward to seeing how you use them! Enjoy the weekend! Fantastic challenge! I love creating my own backgrounds and designer paper for my cards and scrapbook pages.